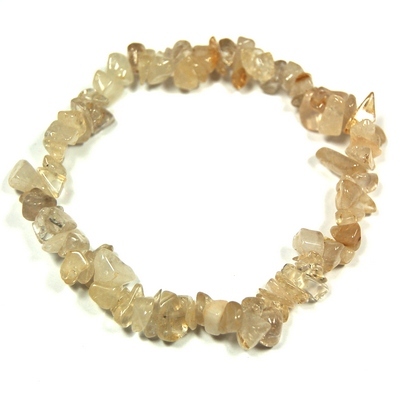 Rutilated Quartz Single Strand Bracelet - These Rutilated Quartz tumbled chips from India are gathered onto an elastic cord to form a single strand bracelet that will fit comfortably on most wrists. Rutilated Quartz is Clear Quartz riddled with needle-like pieces of golden Rutile, a material made of titanium dioxide that are also known as "The Hairs of Venus". 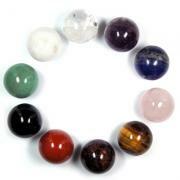 Found mostly in Madagascar and Brazil, these Rutilated Quartz bracelets carry a very high vibration and are a great form of this mineral to wear.